Williams Sound is among the top manufacturers of the latest interpretation and translation technologies. Williams Sound produces receivers and transmitters that for ADA and simultaneous interpretation providing great sound quality. Williams Sound provides a wide variety of products, which are compatible with a number of different technologies including FM transmission, Digi-wave and Infrared systems. 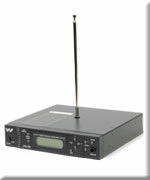 Depending upon your needs, Williams Sound manufactures one-way translation equipment that is great for guided speaking tours or business presentations, and also two-way translation equipment that is ideal for business discussions, large productions or presentations with multiple languages and speakers. 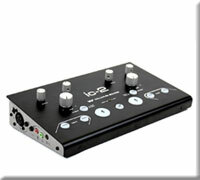 Williams Sound translation equipment is suitable for all different types of venues and settings. Products range from individual transmitters and receivers, to group language interpretation systems. These all encompassing language interpretation systems are ideal for medium to large groups and allow an unlimited number of participants to select from up to fourteen different languages, which are interpreted simultaneously. Additional transmitters can be added to any Williams Sound language interpretation system if additional translators or languages are required. Devices can either be permanently mounted in a specific venue or there are several portable options, which allow for instant interpretation on the go. Portable devices allow for multiple presenters to speak simultaneously and also provide the presenters with ultimate control over translations, allowing audiences to enjoy a clear translation in listen-only mode. Portable devices come with hard shell cases, lined with specially molded foam interiors so you can easily transmit your translation systems from one site to another without worrying about damaging any of the equipment. Hand-held receivers and transmitters come with their own charging devices to ensure your devices are always charged and ready for use. The name Williams Sound is synonymous with quality and you can rest assured know most all products come with a warranty, typically ranging between 90 days anywhere up to 5 years. Devices are compatible with a wide range of accessories, including headphones and ear buds for individual listening purposes. Translator headsets are designed to filter out unwanted background noises and voices and the unidirectional condenser ensures that the translator's voice is audible with great sound quality to all those listening. Williams Sound also offers Americans with Disabilities Act (ADA) compliant language interpretation systems, which are specifically designed for hearing accessibility and are meet all standards and criteria set forth by the ADA. According to acts passed by ADA all public spaces must provide equal accessibility for all persons, this means accommodating those individuals who have hearing complications. Williams Sound has a variety of ADA compliant listening accommodating devices, which ensure your facility will meet all guidelines set forth by the ADA and assist those individuals who have trouble hearing. The ADA recently updated their standards last year and Williams Sound updated all their devices to be sure these interpretation and hearing accommodation systems meet these new, stricter regulations. 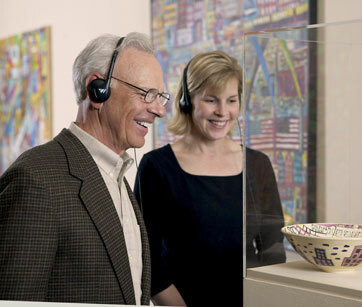 These hearing assistance systems are designed for individual use and also to be used by large groups. If audio material is sensitive there are secure applications of these systems, which are ideal for use in court rooms, council chambers and other secure environments.